New GFMC staff Ms. Jessica OBrien assuming function as GFMC Assistant Officer. Welcome on board! First part of the training course With Fire and Flame for Nature Conservation  The Use of Prescribed Fire in Landscape Management in the Black Forest, targeted to farmers and landscape managers in the Black Forest, conducted by the GFMC under the auspices of the EU-sponsored LIFE Rohrhardsberg project, the Baden-Wuerttemberg State Conservation Office, Working on Fire International, and the Emmendingen Landscape Conservation Association (A. Held, H. Page); Rural Vocational Training Center Emmendingen-Hochburg, Germany. Second part of the training course With Fire and Flame for Nature Conservation  The Use of Prescribed Fire in Landscape Management in the Black Forest, targeted to farmers and landscape managers in the Black Forest, conducted by the GFMC under the auspices of the EU-sponsored LIFE Rohrhardsberg project, the Baden-Wuerttemberg State Conservation Office, Working on Fire International, and the Emmendingen Landscape Conservation Association (A. Held, H. Page); Rural Vocational Training Center Emmendingen-Hochburg, Germany. Meeting with the Russian Minister for Agriculture, Ms. Elena B. Skrynnik, on issues related to bilateral cooperation in fire management between the Russian federation and the Federal Republic of Germany (J.G. Goldammer); Embassy of the Russian Federation, Berlin, Germany. Second meeting of the GTZ financed Trilateral (Germany, Tanzania, South Africa) Fire Management project: Fire Management in Tanzania and Regional Fire Coordination Center (A. Held); Pretoria, South Africa. International Fire Aviation Working Group (IFAWG) telephone conference (GFMC, Australia, USA, Canada, South Africa, Russia (J.G. Goldammer); U.S. Forest Service Telephone Conference System. 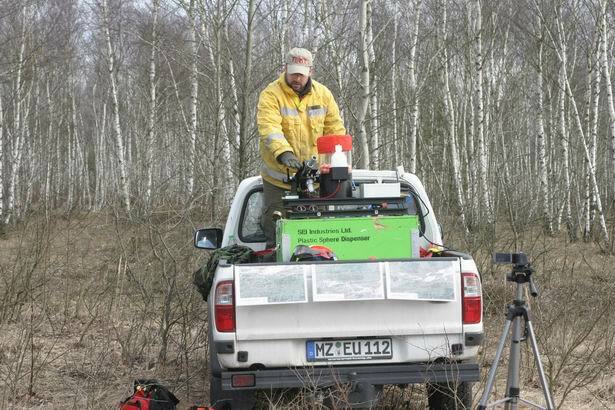 During the months of February and March 2011 the GFMC Team is responding to adequate weather conditions for implementing prescribed burning on various sites throughout Germany. If telephone calls to the GFMC are not responded please send an e-mail message. Annual Meeting of the Committee of Permanent Correspondents of the European and Mediterranean Major Hazards Agreement (EUR-OPA) (Open Partial Agreement on the Prevention of, Protection Against, and Organisation of Relief in Major Natural and Technological Disasters), Council of Europe (J.G. Goldammer); Paris, France. 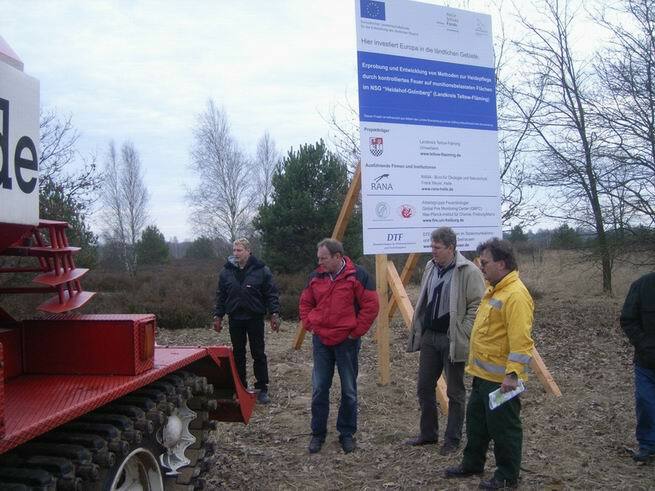 On-site preparatory work and press conference at the prescribed burning project Erprobung und Entwicklung von Methoden zur Heidepflege durch kontrolliertes Feuer auf munitionsbelasteten Flächen im NSG Heidehof-Golmberg (Landkreis Teltow-Flaeming) (2009-2012) (Prescribed burning on former military terrain contaminated by unexploded ordnance [UXO], Teltow-Flaeming County, Germany) (J.G. Goldammer, A. Held); Luckenwalde / Jaenickendorf, Germany. Watching SAR operations at GFMC; Freiburg Airport, Germany. If telephone calls to the GFMC are not responded please send an e-mail message. 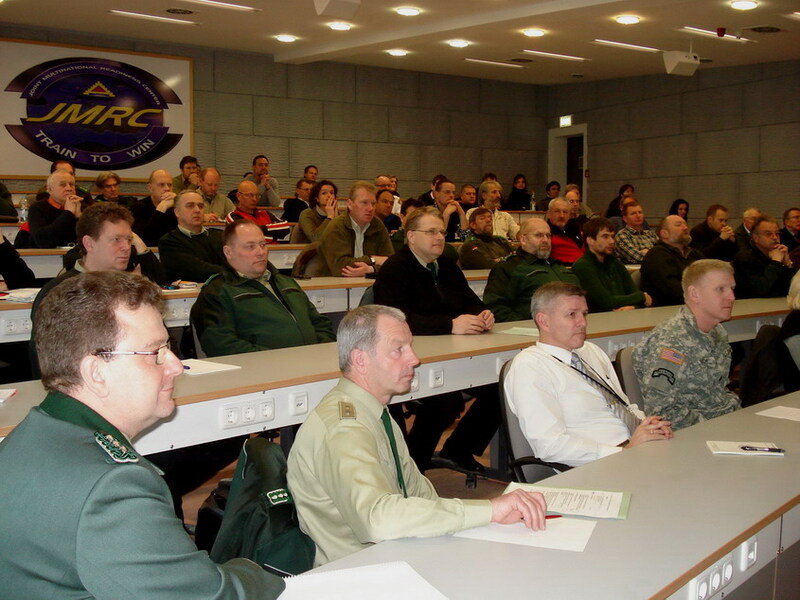 Workshop on The Use of Prescribed Fire in the Management of Open Land Habitats on Active Military Training and Shooting Ranges, Federal Forest Service Office / Military Training Range Hohenfels, U.S. Army; Joint Multinational Readiness Center (JMRC), Germany. 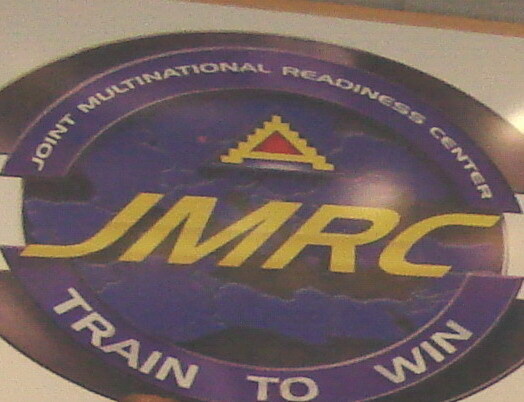 JMRC Hohenfels offers an open land training range. 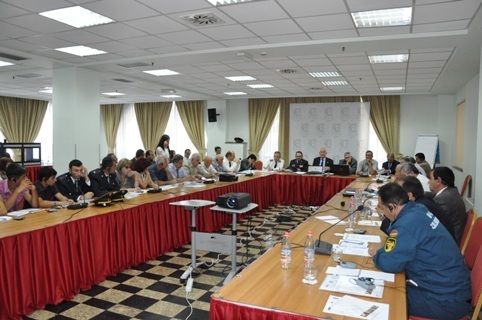 International conference Hot summer 2010: lessons learned: Evaluation of international cooperation in forest fire emergencies in 2010, hosted by the Ministry for Civil Defence, Emergencies and Elimination of Consequences of Natural Disasters of the Russian federation (EMERCOM), with the GFMC contribution Status and Prospects of International Cooperation in Fire Management in the Regions of the Council of Europe, the UN Economic Commission of Europe and at Global Level through the Development of Bilateral and Multilateral Agreements and Protocols, presented by J.G. Goldammer on behalf of the European and Mediterranean Major Hazards Agreement of the Council of Europe (EUR-OPA), the UNECE/FAO Team of Specialists on Forest Fire and UNISDR Global Wildland Fire Network (GWFN); Moscow, Russia. 33rd Session of the Timber Committee of the United Nations Economic Commission for Europe and the European Forestry Commission of the Food and Agriculture Organization of the United Nations, Joint FAO/UNECE Working Party on Forest Economics and Statistics, on the establishment of a possible Working Party to facilitate exchange of expert advice based on the work of UNECE/FAO Teams of Specialists; and the possible reform of institutional arrangements under the UNECE/FAO. 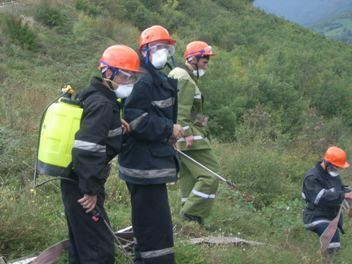 Preparation of technology for prescribed burning operations on UXO-contaminated terrain with project partners GFMC (J.G. Goldammer), DTF, WoF Europe and German Federal Forest Service; Perleberg, Germany. Advanced seminar Use of Fire in Nature Conservation  Prescribed Burning for Enhancing Biological Diversity (Seminar Nr. 2011-03 Feuereinsatz im Naturschutz  Kontrolliertes Brennen zur Förderung der biologischen Vielfalt) at Educational and Cultural Center for Nature, Environment and Rural Space, Schleswig-Holstein State (Bildungszentrum für Natur, Umwelt und ländliche Räume), with practical exercise in Nordoe Nature Reserve (J.G. Goldammer); Flintbek / Nordoe, Germany. International Telephone Conference of the International Liaison Committee (ILC) meetings in preparation of the 5th International Wildland Fire Conference (South Africa, 9-13 May 2011). Work visit of Brian J. Stocks, Wildfire Investigations Ltd. / Senior Research Scientist (Emeritus), Forest Fire and Global Change, Canadian Forest Service, Natural Resources Canada, in conjunction with European Geosciences Union General Assembly, Session The Russian Heat Wave and Fires of 2010 (Conveners: Michael Fromm, Johann Georg Goldammer, Brian J. Stocks, Meinrat O. Andreae, Marloes Penning de Vries, and Nikolai Elansky); Vienna, Austria. 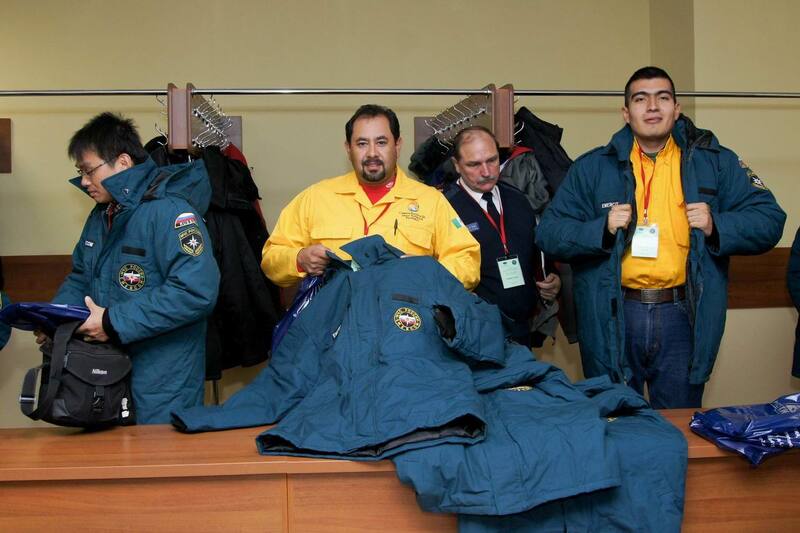 5th South American Symposium and 9th Technical Joint Assemby FUPEF / SIF / IPEF on Forest Fire Control and 9th Joint Technical FUPEF / SIF / IPEF Meeting on Forest Fire Control (V Simpósio Sul-Americano e 9ª. 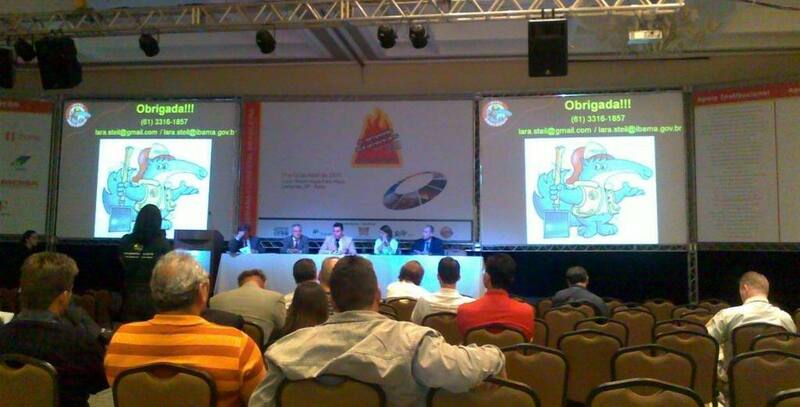 Reunião Técnica Conjunta FUPEF / SIF / IPEF sobre Controle de incêndios Florestais; durante a realização da Semana Florestal Brasileira), with GFMC contribution Wildfire Threats to the Environment and Human Security. Challenges for Fire Management in the 21st Century (As ameaças dos incêndios florestais ao ambiente e à segurança humana: desafios do manejo do fogo para o século 21) (J.G. Goldammer); organized by A.C. Batista (Universidade Federal Do Paraná, Curso de Engenharia Florestal, Curitiba, Brasil); Campinas, Sao Paulo, Brazil. 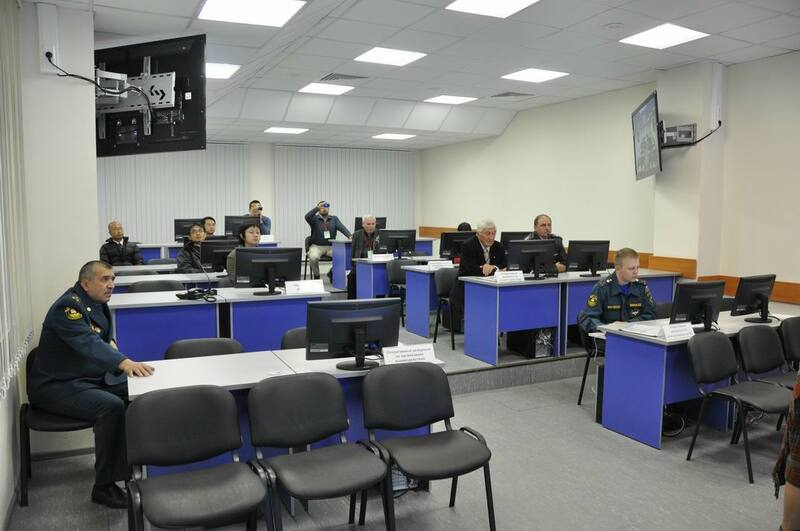 Visit and briefing of Delegation of the Ministry for Emergency Situations EMERCOM of the Russian Federation and German Foreign Office at GFMC, on building rural fire management capacity in the Russian Federation. ; GFMC. 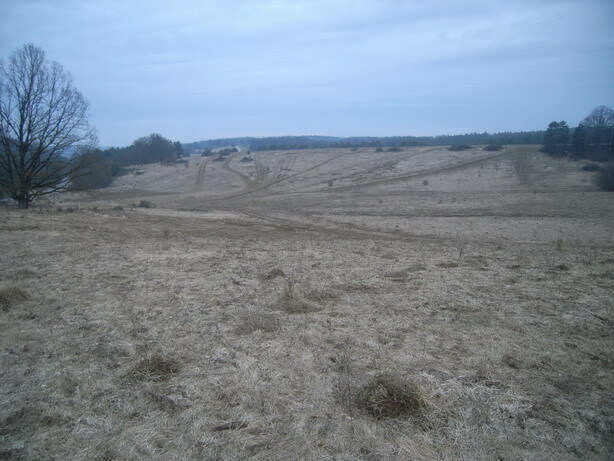 Field survey on feasibility of the use of prescribed fire in maintaining open landscape habitats in Wildflecken Military Exercise and Shooting Range; Wildflecken, Germany. International Conference Twenty-five Years after Chornobyl Accident. 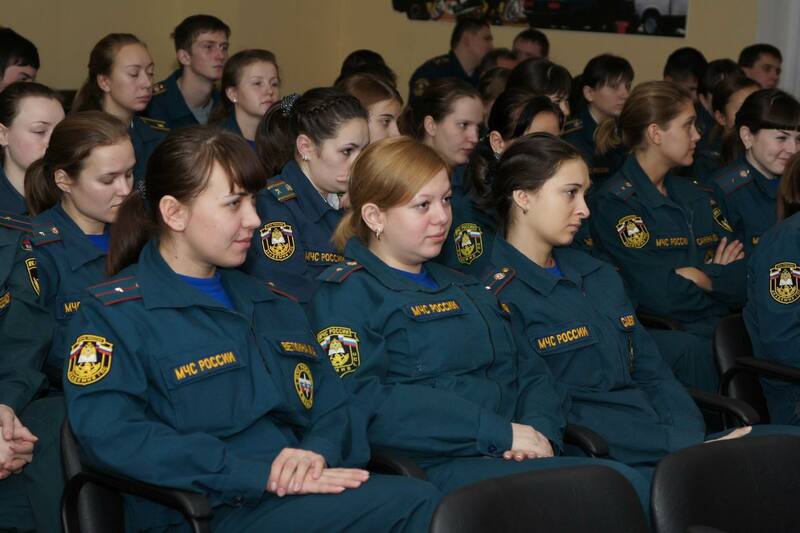 Safety for the Future, with joint presentation Needs for Development of Wildfire Management in the Chornobyl Exclusion Zone (C.D. Oliver; S.V. Zibtsev, A.M. Hohl, J.G. Goldammer, J. McCarter, M.M. Petrenko and O.A. Borsuk); Kyiv / Chornobyl, Ukraine. Strategic meetings with the Minister of Emergencies of Ukraine, Mr. Victor Baloga, and the Deputy Head of the State Agency for the Management of the Exclusion Zone, Mr. Dmytro Bobro (C.D. Oliver; S.V. Zibtsev, J.G. Goldammer); Kyiv, Ukraine. New GFMC staff Mr. Pete Sheldon assuming function as GFMC Assistant Officer. Welcome on board! 9th Meeting of the Advisory Group on Environmental Emergencies (AGEE) (GFMC member, represented by Johann G. Goldammer). In conjunction with the meeting GCI, UNEP, and OCHA will host the Green Star Awards to celebrate contributors who raise awareness of environmental emergencies and disasters. Bern, Switzerland. 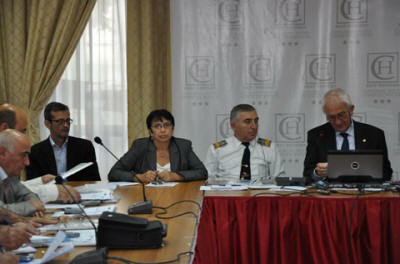 Organization for Security and Co-operation in Europe (OSCE) Workshop on Confidence Building Measures. Presentation of GFMCs cooperative work in the South Caucasus, South Eastern Europe and Eastern Europe on behalf of OSCE through the Environment and Security Initiative (ENVSEC); OSCE Headquarters, Vienna, Austria. 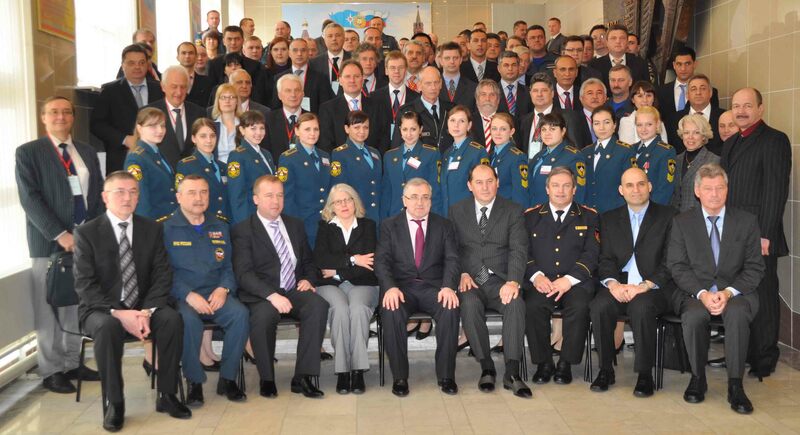 Work visit and briefing of Delegation of the Federal Forest Agency of the Russian Federation, led by Alexander Victorovich Panfilov, State Secretary and Deputy Head of the Federal Forestry Agency, and German Federal Ministry for Food, Agriculture and Consumer Protection (BMVEL) at GFMC, on a joint fire management programme in the Russian Federation; GFMC / Hannover, Lower Saxony. 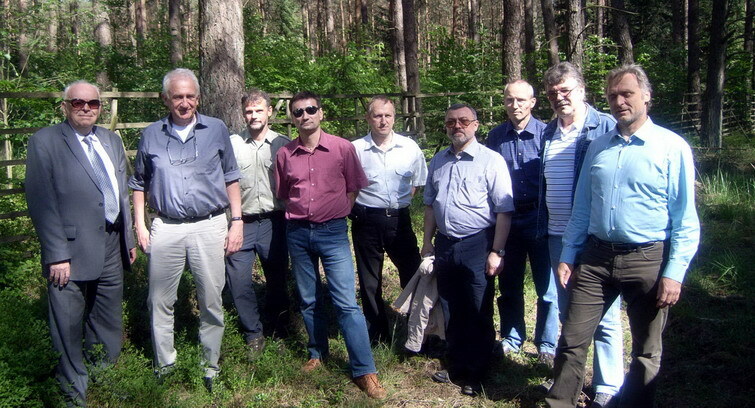 Field visit in Lower Saxony  Review of pine forests enriched with underplanted hardwoods for fire hazard reduction. 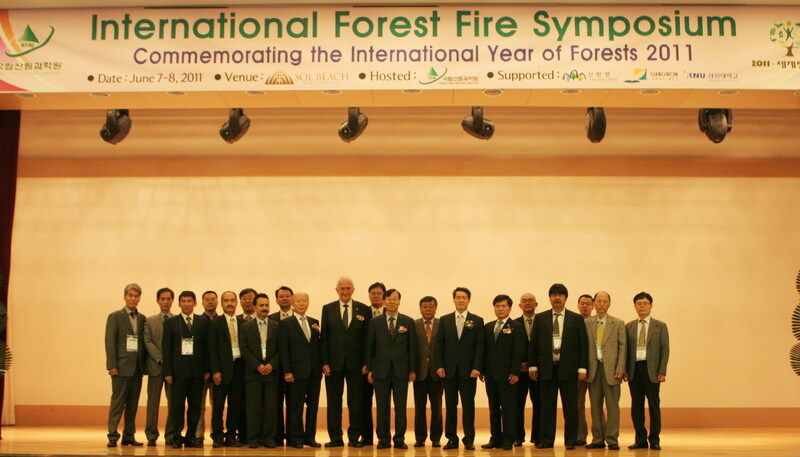 International Conference A Decade After Forest Fires in Korean East Coast, the 2nd UNSIDR Pan-Asia Wildland Fire Network Meeting and the 7th UNISDR Regional North East Asia Network Meeting (J.G. Goldammer, chair); Sol Beach, Gangwon-do, Republic of Korea. 17th International Summer Academy of Deutsche Bundesstiftung Umwelt (DBU) (the German National Nature Heritage Foundation) Das Nationale Naturerbe in der Praxis  Impulse, Herausforderungen, Perspektiven (The National Nature Heritage in Practice  Impulses, Challenges and Perspectives), with GFMC contribution Open Land Habitat Management by Prescribed Fire (J.G. 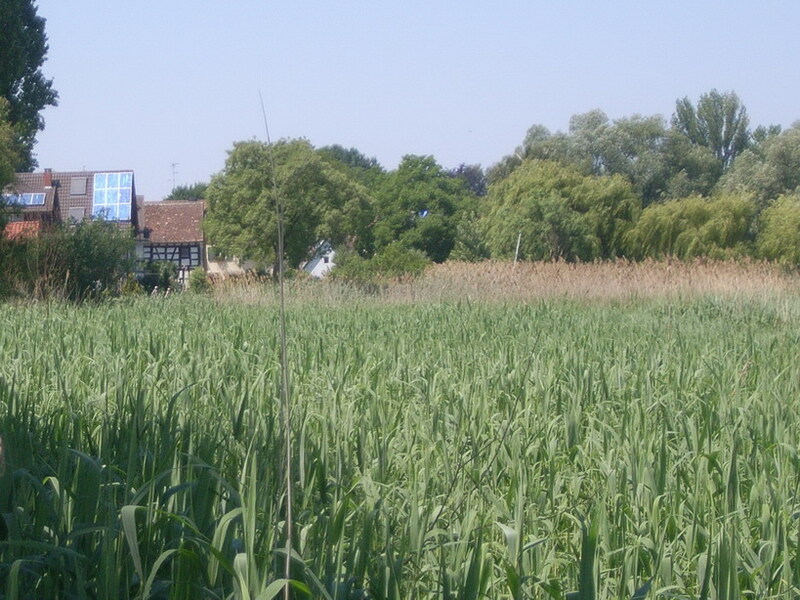 Goldammer); Ostritz – St. Marienthal, Germany. 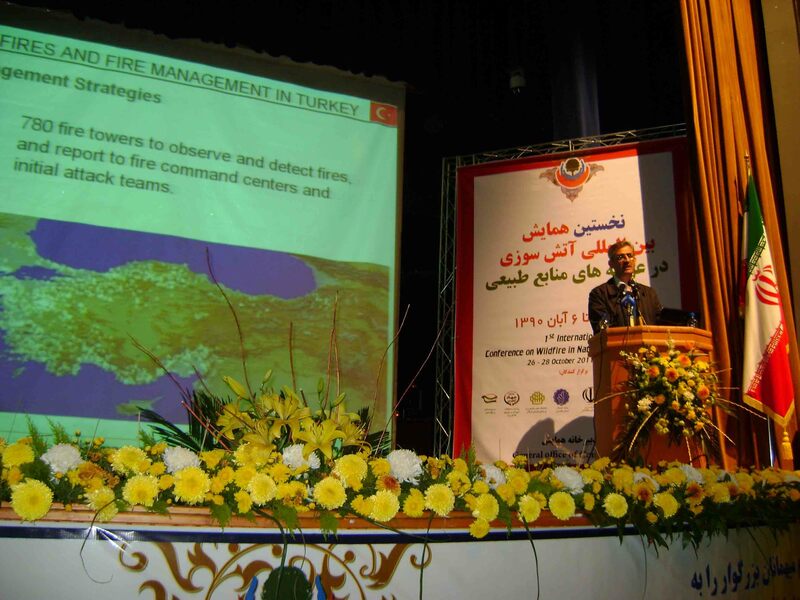 Wildland Fire Assessment Mission and First National Round Table for developing a National Fire Management Policy for Azerbaijan, a contribution of Phase II of the Environment and Security Initiative (ENVSEC) Enhancing National Capacity on Fire Management and Wildfire Disaster Risk Reduction in the South Caucasus though GFMC and the Organization for Security and Co-operation in Europe (OSCE) (J.G. Goldammer); Baku and field sites, Azerbaijan. 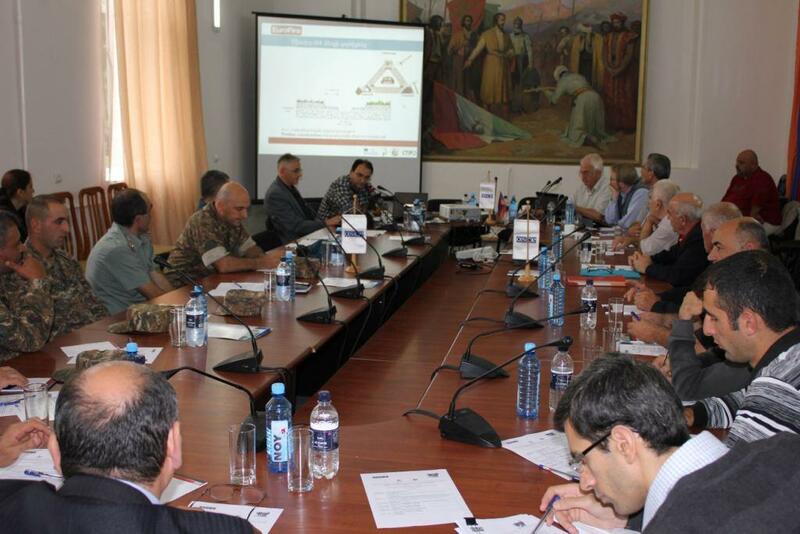 Wildland Fire Assessment Mission and First National Round Table for developing a National Fire Management Policy for Azerbaijan, a contribution of Phase II of the Environment and Security Initiative (ENVSEC) Enhancing National Capacity on Fire Management and Wildfire Disaster Risk Reduction in the South Caucasus through GFMC and the Organization for Security and Co-operation in Europe (OSCE) (J.G. Goldammer); Baku and field sites, Azerbaijan. Meeting of the Advisory Group of the Prescribed Burning Project Erprobung und Entwicklung von Methoden zur Heidepflege durch kontrolliertes Feuer auf munitionsbelasteten Flächen im NSG Heidehof-Golmberg (Landkreis Teltow-Flaeming) (2009-2012) (Prescribed burning on former military terrain contaminated by unexploded ordnance [UXO], Teltow-Flaeming County, Germany) (J.G. Goldammer); Luckenwalde, Germany. Visit and briefing of a delegation of the China Academy of Electronics and Information Technology in the frame of Freiburg-China economic and scientific cooperation, concerning wildland fire early warning, detection and monitoring systems (briefing by J.G. Goldammer); GFMC. 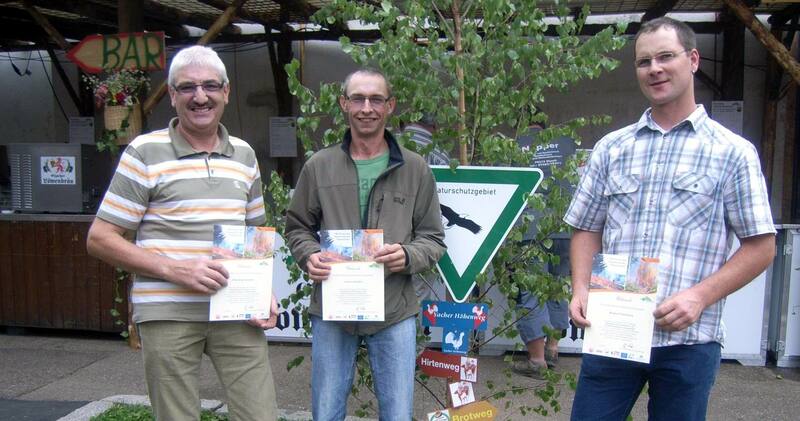 5th Yach Symposium on land use and conservation in the Middle Black Forest, with handing over of certificates to participants of the training course With Fire and Flame for Nature Conservation  The Use of Prescribed Fire in Landscape Management in the Black Forest, targeted to farmers and landscape managers in the Black Forest, conducted by the GFMC under the auspices of the EU-sponsored LIFE Rohrhardsberg project, the Baden-Wuerttemberg State Conservation Office, Working on Fire International, and the Emmendingen Landscape Conservation Association; Elzach-Yach, Germany. Mr. Byambasuren Oyunsanaa assuming staff responsibility as GFMC Fire Science Officer. Welcome on board! 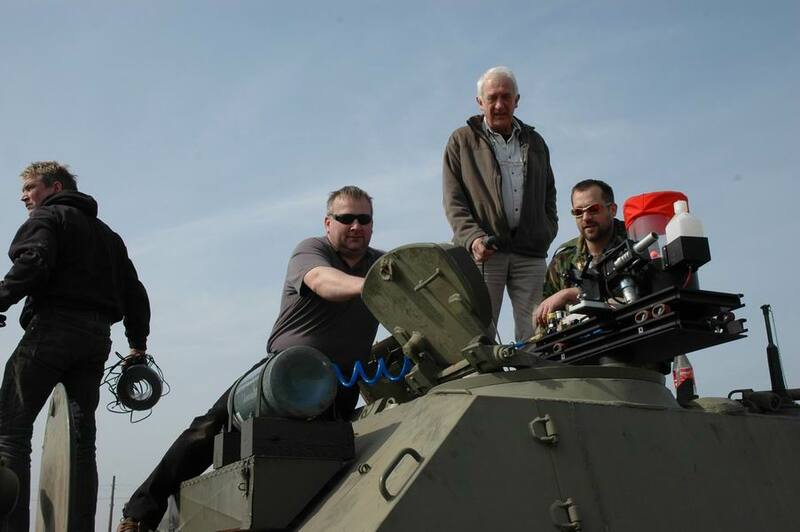 First broadcast of ARTE film Battle Against the Inferno. A film, produced by Hessischer Rundfunk and Arte, providing new insights in the global dimension of fire, with GFMC contributions and interviews of members of the UNISDR Wildland Fire Advisory Group, partners of SDIS-13 (France) and U.S. Forest Service, and others; authored by Tilman Jens; ARTE, 21:55 CET. Conference Severe Atmospheric Aerosol Events: Pathways, impacts and policies on large aerosol injections into the atmosphere, organized by the Carl Friedrich von Weizsäcker Centre for Science and Peace Research (ZNF) in cooperation with the Max-Planck-Institute for Meteorology, the Research Group Climate Change and Security (CLISEC) of KlimaCampus Hamburg, and the King Abdullah University of Science and Technology, Saudi Arabia (KAUST), supported by the Cluster of Excellence Integrated Climate System Analysis and Prediction (CliSAP), in conjunction with the Workshop on Nuclear Weapons and their Disarmament; with GFMC contribution Wildland Fires and Human Security (J.G. Goldammer); KlimaCampus, Hamburg, Germany. 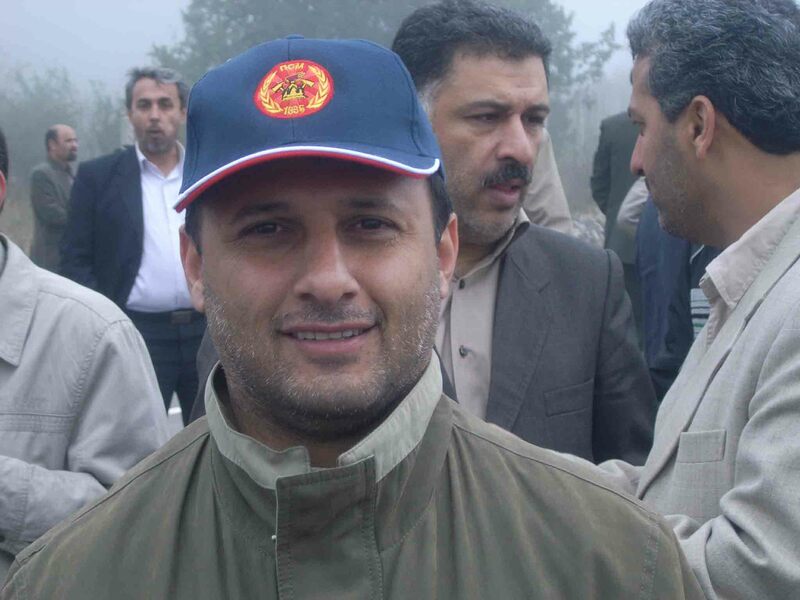 Dr. Ioannis Mitsopoulos, Research Forester from the Faculty of Forestry, University of Thessaloniki, Greece, joining GFMC for a short-term scientific mission in the frame of COST Action FP0701 Post-Fire Forest Management in Southern Europe. GFMC staff Jessica OBrien leaving for field mission Community-Based Fire Management in Nepal, with UNISDR Regional South Asia Wildland Fire Network leader Sundar P. Sharma; Kathmandu / Hetauda, Nepal. Preparatory field work (UXO clearing) on the sites of the Prescribed Burning Project Erprobung und Entwicklung von Methoden zur Heidepflege durch kontrolliertes Feuer auf munitionsbelasteten Flächen im NSG Heidehof-Golmberg (Landkreis Teltow-Flaeming) (2009-2012) (Prescribed burning on former military terrain contaminated by unexploded ordnance [UXO], Teltow-Flaeming County, Germany) (J.G. Goldammer); Luckenwalde, Germany. 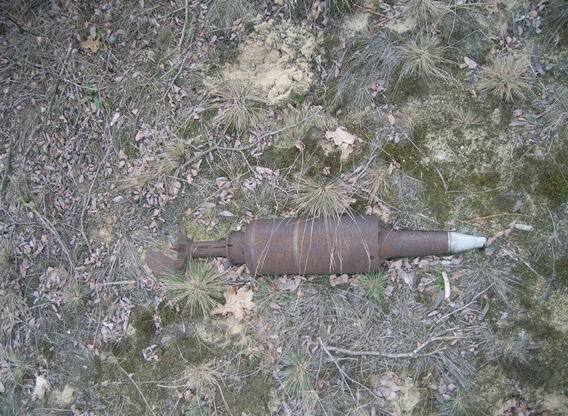 (third picture) land mine (this type was a dummy). 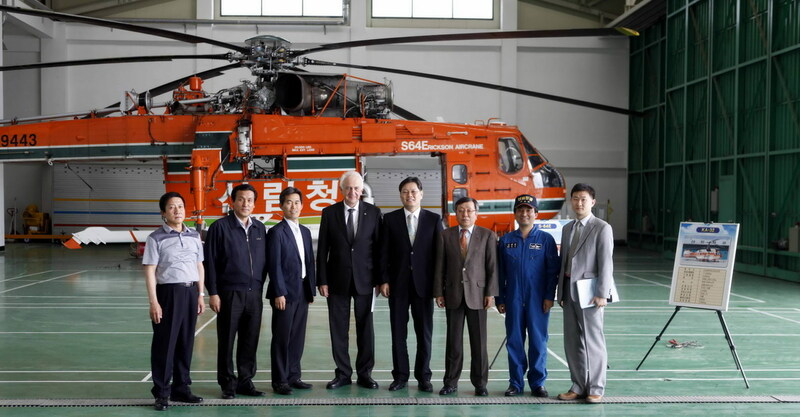 Photos: GFMC. 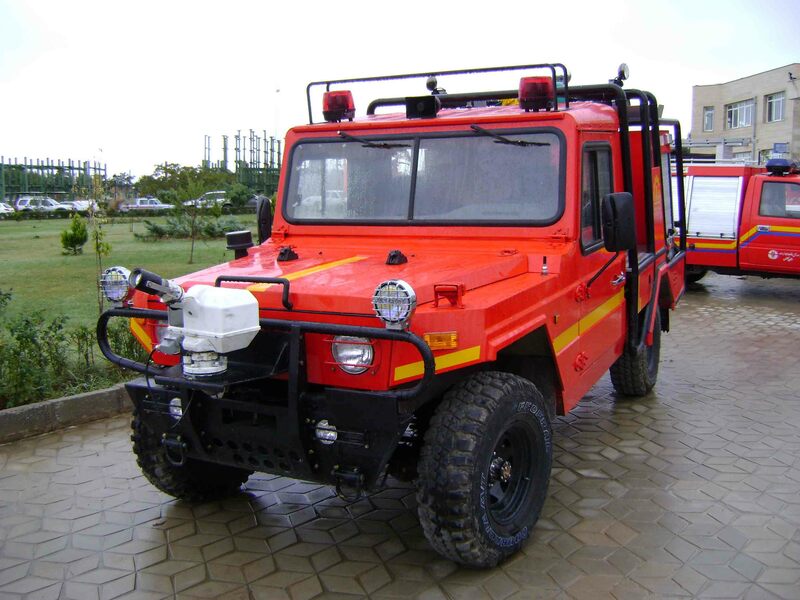 First National Fire Management Training Course, Forest Fire Exercise and National Round Table on Fire Management. 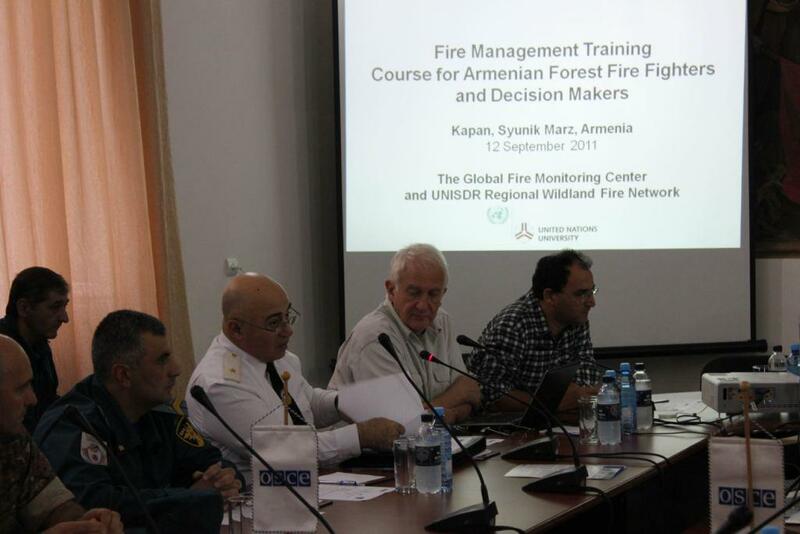 This first fire management training course, a national forest fire exercise and the first National Conference & Round Table on Fire Management was conducted in September 2011 in Armenia. 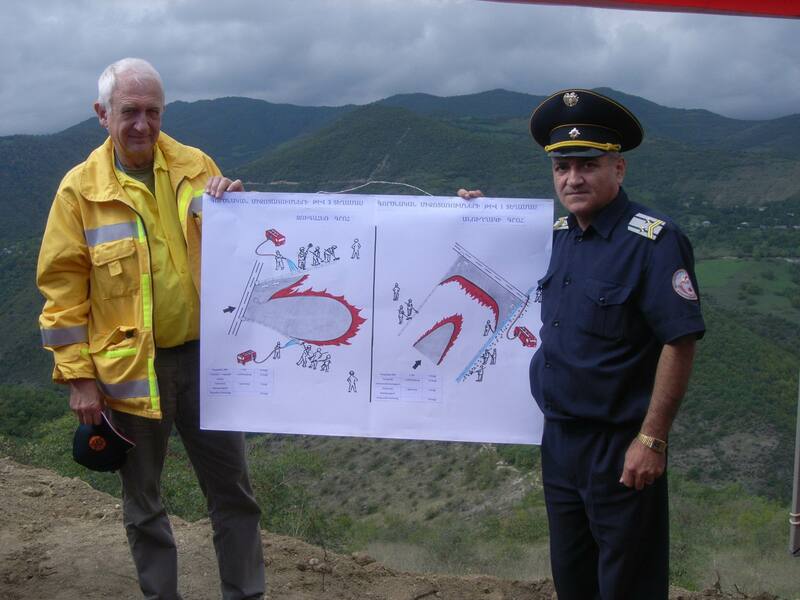 This was a contribution of Phase II of the Environment and Security Initiative (ENVSEC) Enhancing National Capacity on Fire Management and Wildfire Disaster Risk Reduction in the South Caucasus through GFMC and the Organization for Security and Co-operation in Europe (OSCE). Kapan / Yerevan, Armenia. 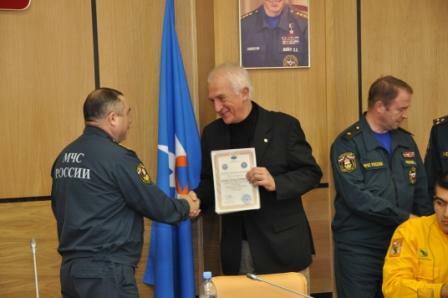 First meeting of the “Russian-German Forest Fire Management Task Force” in the frame of the bilateral agreement between Germany and Russia, andGFMC contribution to the 80th Anniversary of Aerial Forest Fire Fighting Service, Aerial Forest Fire Center of Russia (J.G. Goldammer); Moscow and Pushkino, Russia. Moscow Oblast, with Deputy Chief of Aialesookhrana (Andrey Eritsov) and GFMC director. Meeting with Brian Woodrow of the World Fire Statistics Center (Geneva) / The Geneva Association (International Association for the Study of Insurance Economics), on modernizing the global fire database; GFMC. 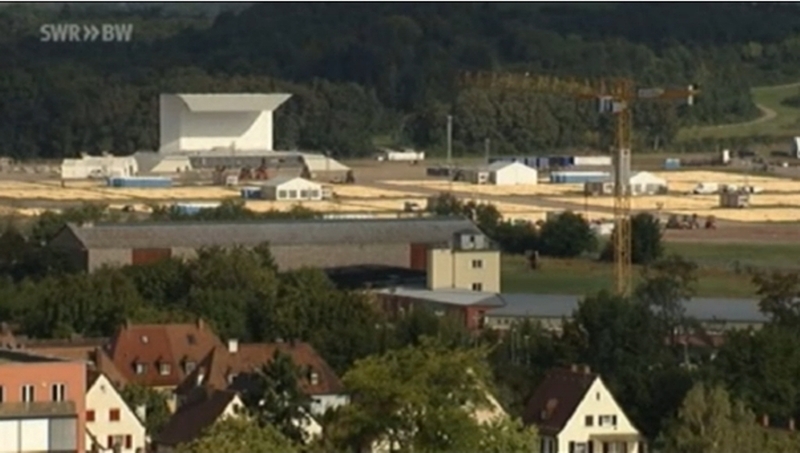 Freiburg city hosting the visit of His Holiness Pope Benedict XVI, with a mass celebrated on Freiburg airport; GFMC. View to the altar from which Benedict XVI will celebrate the mass; with GFMC tower in the foreground. GFMC staff will enjoy a privileged view of the mass at which 80,000 visitors will be expected. Retreat of the Partnership on Environment and Disaster Risk Reduction (PEDRR) and handover of chairmanship from United Nations University (UNU) to Council of Europe (CoE). (J.G. Goldammer); Council of Europe, Strasbourg, France. 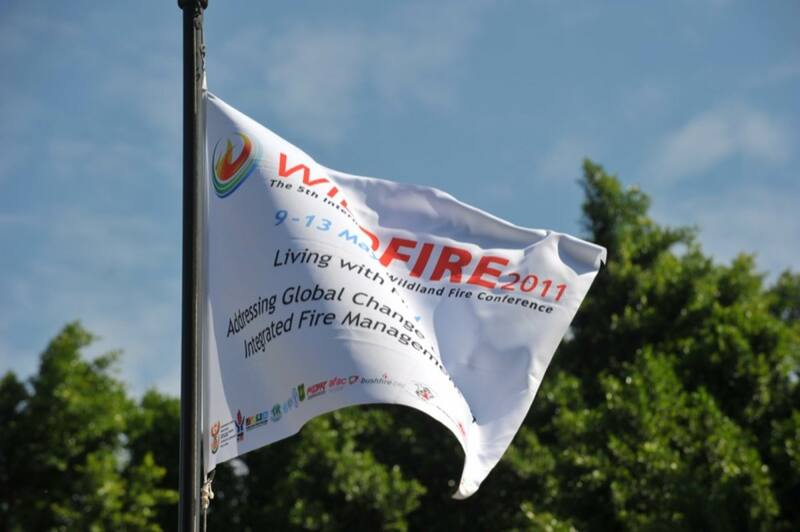 International Conference on Fire Behaviour and Risk. 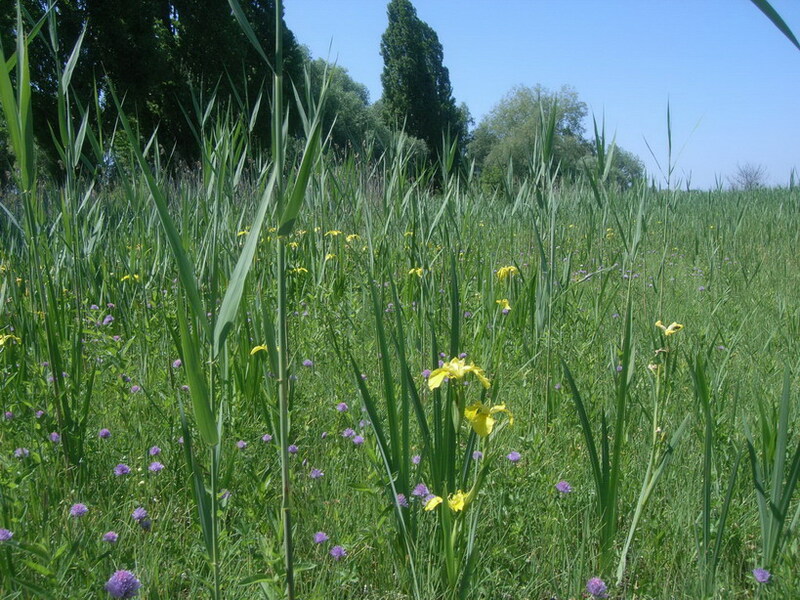 Focus on Wildland Urban Interfaces (GFMC co-sponsor); Alghero, Italy. 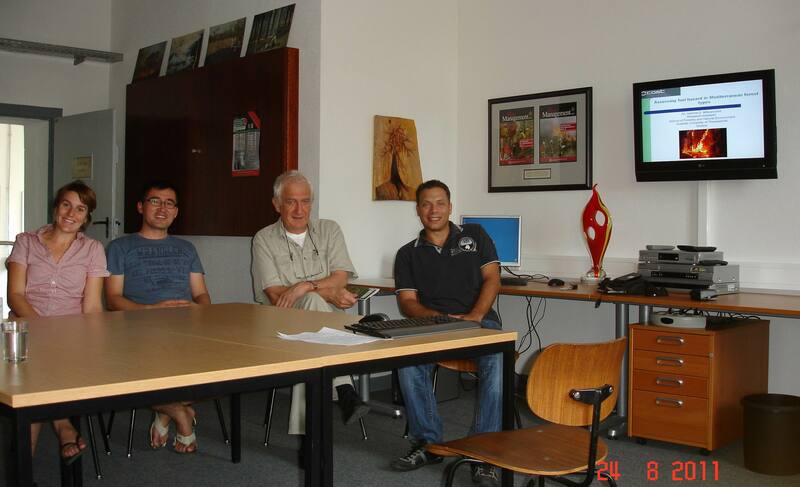 Work visit of R.-J- Hohloch, Chief of Freiburg Fire Service; GFMC. Closing Workshop Kontrollierter Feuereinsatz in der Landschaftspflege im Schwarzwald. Ergebnisse und Schlussfolgerungen aus dem LIFE-Projekt <Prescribed burning in landscape management in the Black Forest. Results and conclusions of the LIFE project> (J.G. Goldammer, B. Oyunsanaa); Emmendingen-Hochburg, Germany. Work visit of Tronosjet management; GFMC. GOFC-GOLD Fire Implementation Team Workshop Satellite Remote Sensing of Fires  Current Progress and Future Prospects (A.A. Hoffmann); Stresa, Italy. 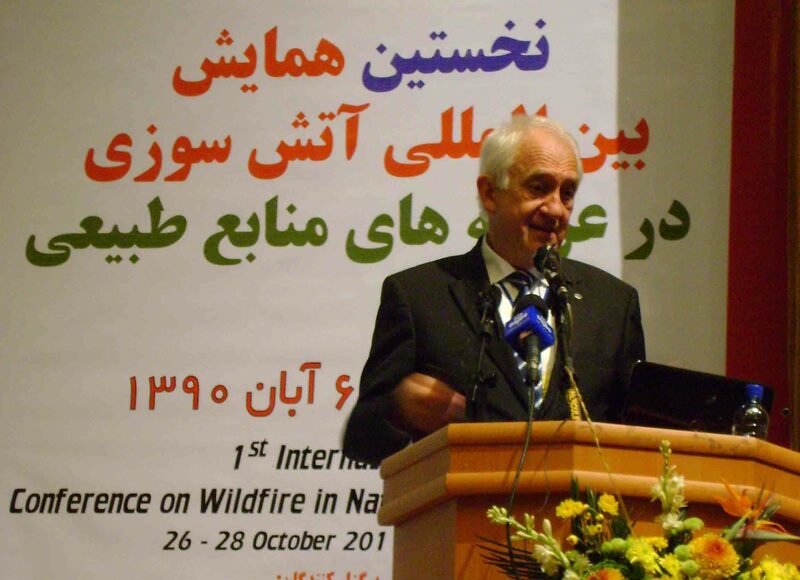 Visual impressions from the First International Conference of Wildfire on Natural Resources Lands, Islamic Republic of Iran. Upper: Impressions of the conference venue. 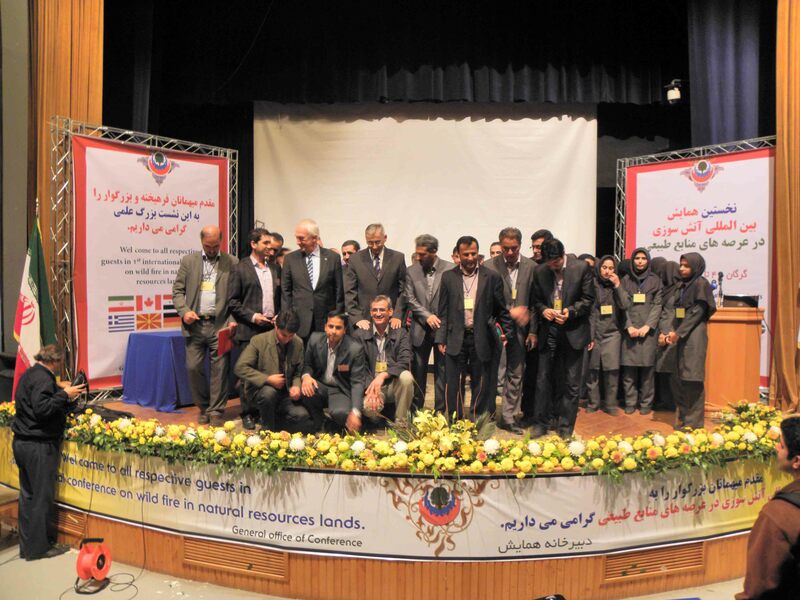 Lower: Exhibition and field trip in Golestan Province. 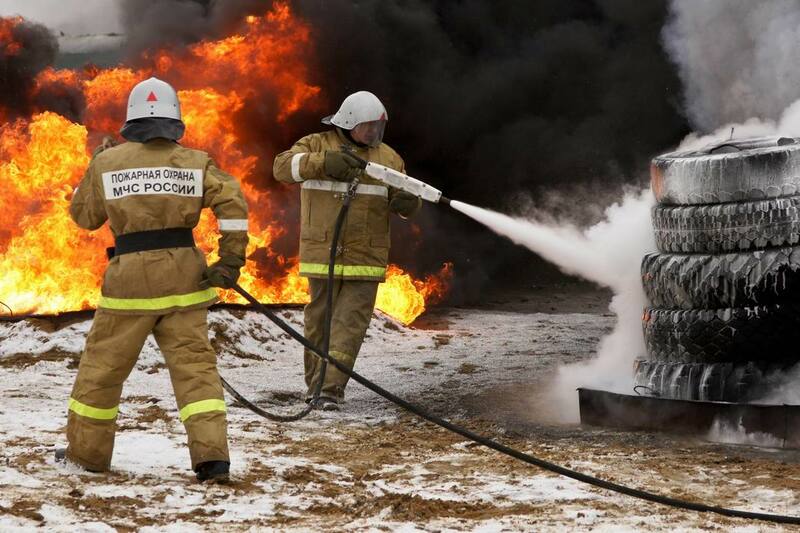 Study course on Wildfire Management in the Asia-Pacific Economic Cooperation (APEC) region (J. G. Goldammer); Academy of State Firefighting Service, EMERCOM of Russia, Moscow, Russian Federation. 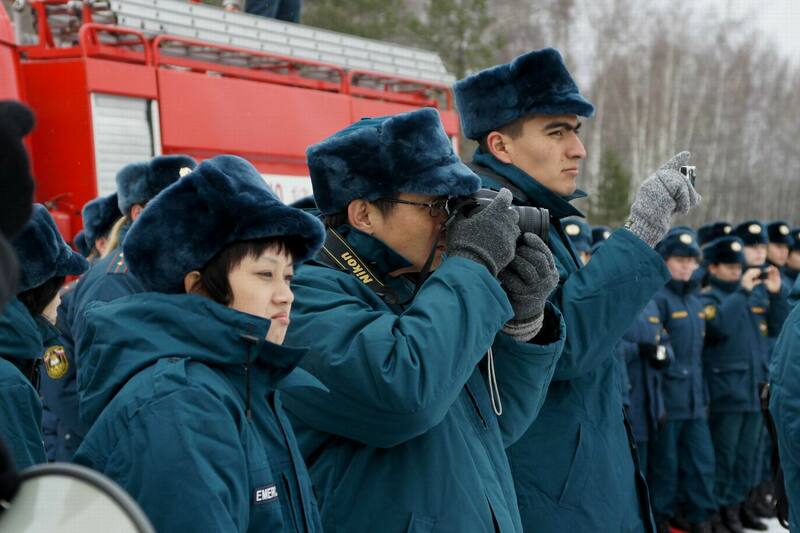 Upper: Classroom training, EMERCOM Academy cadets listening, Thai and Mexican fire specialists gearing up for the cold; Lower: firefighting demo under adverse weather conditions, and Thai, Mexican and Vietnamese attendees watching the unusual cold firefighting demonstrations. International conference Exploring the Mega-fire Reality 2011 (J. G. Goldammer); Florida State University Conference Center, Florida, USA. 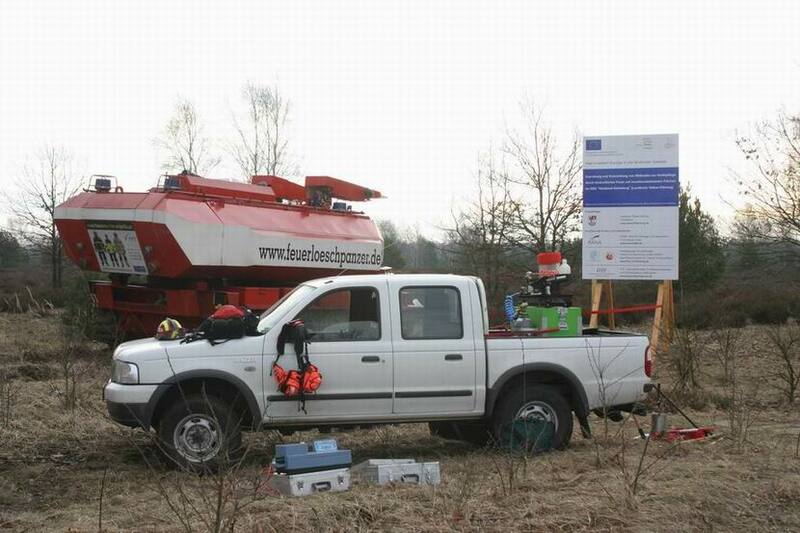 On-site preparatory work of the prescribed burning project Erprobung und Entwicklung von Methoden zur Heidepflege durch kontrolliertes Feuer auf munitionsbelasteten Flächen im NSG Heidehof-Golmberg (Landkreis Teltow-Flaeming) (2009-2012) (Prescribed burning on former military terrain contaminated by unexploded ordnance [UXO], Teltow-Flaeming County, Germany) (J.G. 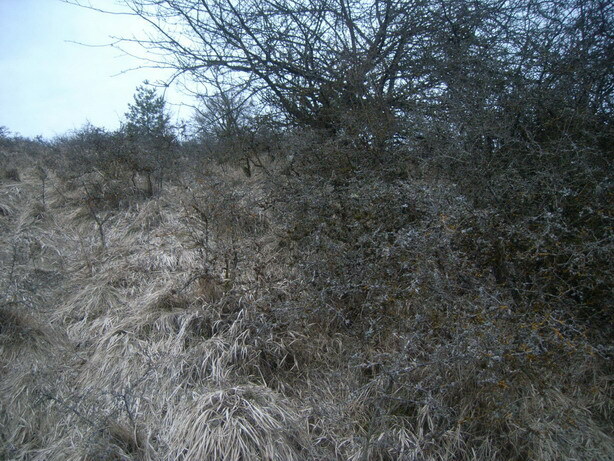 Goldammer, B. Oyunsanaa); Luckenwalde / Heidehof-Golmberg Nature Reserve, Germany. 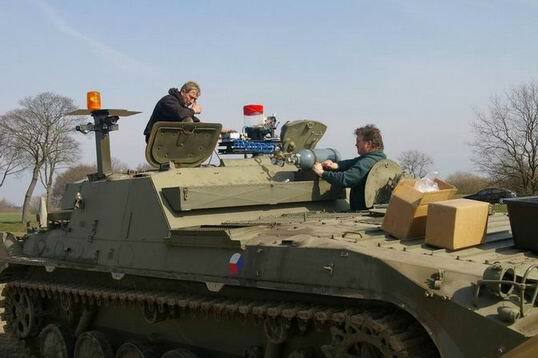 Preparation and maneuvering fire management tanks on UXO-contaminated terrain, Heidehof-Golmberg Nature Reserve, 21 November 2011. 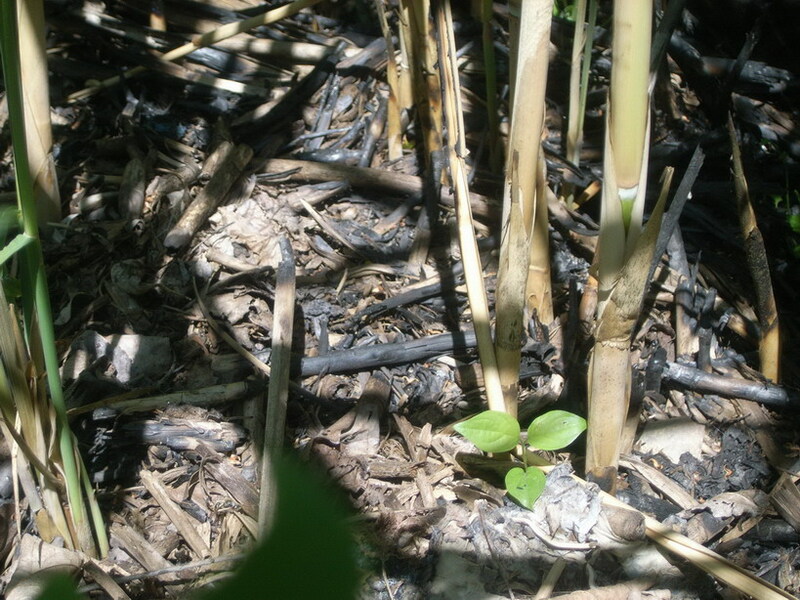 Annual course “Fire Ecology in Ecosystems of the Tropics and Subtropics”, Faculty for Forest and Environmental Sciences, Freiburg University (Germany), given by GFMC staff (J.G. Goldammer, B. Oyunsanaa); GFMC / Freiburg University, Germany. Annual course “Fire Ecology in Ecosystems of the Tropics and Subtropics”, Faculty for Forest and Environmental Sciences, Freiburg University (Germany), given by GFMC staff (J.G. Goldammer, P. Sheldon, B. Oyunsanaa); GFMC / Freiburg University, Germany. Briefing of GFMC staff by Freiburg Fire Service; Freiburg, Germany. On-site preparatory work of the prescribed burning project Erprobung und Entwicklung von Methoden zur Heidepflege durch kontrolliertes Feuer auf munitionsbelasteten Flächen im NSG Heidehof-Golmberg (Landkreis Teltow-Flaeming) (2009-2012) (Prescribed burning on former military terrain contaminated by unexploded ordnance [UXO], Teltow-Flaeming County, Germany); Seehausen / Luckenwalde / Heidehof-Golmberg Nature Reserve, Germany. 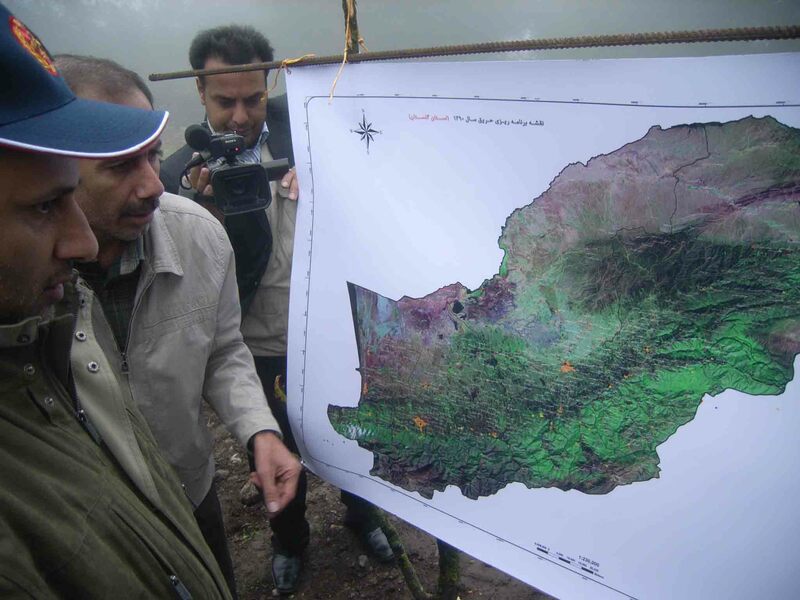 Annual course Global Wildland Fire hazards within the Master Programme “Forest Ecology and Management”, Faculty for Forest and Environmental Sciences, Freiburg University (J.G. Goldammer, P. Sheldon; with a lecture by Prof. Dr. Bambang Saharjo, Faculty of Forestry, Bogor, Indonesia); Freiburg, Germany. Work visit of Prof. Dr. Bambang Saharjo, Head of Forest Fire Laboratory and Dean of the Faculty of Forestry, Bogor, Indonesia; GFMC. 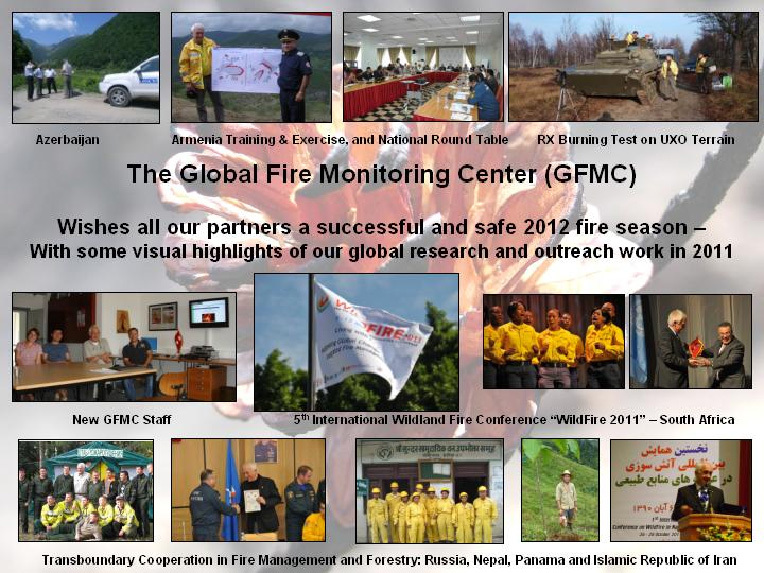 GFMC greetings for 2012: Happy New Year to all colleagues, cooperators and especially the members of the Global Wildland Fire Network, with some visual highlights of the outreach work of GFMC in 2011.